The speed at which babies grow can be overwhelming for any parent. Aside from the emotional part, they must be ready to buy different clothing pieces for babies because they require more types with each month that passes. T-shirts are always on the list, among baby socks, pants, and various other items. Since parenting also means little or no free time, you might want to check the list showcased below, containing several models and types of baby T-shirts. What better way to make a father even prouder than getting a matching clothing set for him and his baby? Draft Baby comes with a Funny Pizza Pie & Slice Dad & Baby Matching Clothing Set Shirt & Onesie. The set is an excellent gift idea for a baby shower invitation. It contains an adult shirt with a pizza design and a baby onesie with a pizza slice design. The material is high-quality, and that is because it is soft cotton. As a bonus, you also get a keychain with the word Dad on it. The clothes can normally be washed, without the designs peeling off. Clothes are very important when having children. Because a child’s skin is quite delicate, the materials touching him or her need to be of high quality. The Simple Joys by Carter’s Girls’ Toddler 3-Pack Graphic Tees is an option worth considering. The set contains three T-shirts which are gray, pink, and navy, and they are made of 60% cotton and 40% polyester. They have short sleeves and include glitter prints. The clothing items can be washed in the machine. Your daughter will surely enjoy these pieces of clothing, or they can make a great gift, as well. In case you are searching for baby clothing which is 100% organic material, you can consider The Burt’s Bees Baby v-neck T-shirts. Designed with an exposed seam with raw edge details, these items are ideal as basic pieces of clothing. The set contains three shirts, one white, one gray, and one navy. They are 100% made of high-quality organic cotton. These items come in multiple sizes fitting newborns to young boys. The best thing about these T-shirts is that they are very soft on the skin, offering your child a feeling of comfort. If you are wondering why organic materials are better for your child, you should know that they are appropriate for your baby’s fragile skin, they feel really soft and last longer after multiple washes. In case you want this type of product check out the V Neck Tee offered by Burt’s Bees Baby. It is GOTS certified, made of 100% organic cotton. You can get this model in sizes from when your little one is a newborn, until two years old. The shirts are designed with a displayed seam and a raw edge detail, being stylish, not just comfortable. There are various possibilities to select from when it comes to baby clothing. Crazy Dog T-Shirts brings to the market the Baby Bear Funny Infant Bodysuit, and it is an option you can keep in mind. The material used is a mix of 100% preshrunk cotton and polyester. The print is designed using high-grade plastisol ink and state-of-the-art equipment, which ensures lively colors and lasting durability. There are various sizes available, and they are machine washable, therefore easy to keep clean. You can offer your baby the feeling of comfort with these cute bodysuits. If you are searching for a nice outfit for your baby, you can try the Nautica Baby Boys’ Long Sleeve Woven Shirt, Tee, and Denim Pant Set. The pack contains a long sleeve button down shirt, pull-on denim pants, and a short sleeve T-shirt. Designed with stripe details, the shirt is made of 55% cotton and 45% polyester; the pant is 100% cotton, and the T-shirt is 60% cotton and 40% polyester. These pieces of clothing can conveniently be washed in the machine. The outfit will look great on your baby, but it can also be a great gift idea. Side-snap T-shirts are very popular with parents because they are easy and convenient to dress your baby in them. Carters offers this 5-pack unisex baby side-snap T-shirts, which you will most likely want for your little one. These cotton clothing items feature nickel-free snaps on reinforced panels. They are machine washable, but most importantly, they are gentle on your baby’s skin. The fabric is soft and appropriate to wear on hot summer days. The white color is an excellent choice during this period, and it is easy to notice if it needs replacing. The way babies grow from one day to another is overwhelming for many parents. Besides the emotional part, they must be prepared to buy various clothing items for babies because they need more and more types with every month that passes. As a parent, you probably know already that listening to many opinions is a tad tiring especially since you lack time for research and shopping. Baby T-shirts are needed all the time because they are practical to use and can be placed inside the baby bag when going out for a walk with the stroller. Therefore, it is great to have a bunch of them so that you can change the T-shirts easily when the baby needs a new set of clean clothes. We all know that having a baby means no free time for adults, so purchasing items that need a lot of time to put and take off is not a good idea. If you need some advice regarding the coolest T-shirts for babies, then let our team of experts lend you a helping hand. After a thorough research based on the quality of the fabric, age, and cool features, they’ve managed to create this useful buying guide that you can read in the following paragraphs. Once you know what to look for, you’ll have no problems in shopping cool T-shirts for sale that are comfortable and fashionable. Searching interesting outfits for babies needs a great deal of attention because not all fabrics are the same and not all sizes are quite a fin for most babies. Some parents like to purchase T-shirts that complete an entire outfit while others are prone to getting basic items that can be used daily. If you’re not sure what to get for your baby take a look at these features showcased below that you can use in your hunt for the coolest T-shirts for infants and toddlers. With so many cool baby T-shirts to choose from, it can be difficult to know what is most suitable for babies. However, you should keep in mind two important aspects such as the age of the baby and the weight. Don’t rely solely on what is written on the labels. It is a known fact that many parents prefer to go to specialized baby stores and shop baby clothes according to the age specified on the label. Although this is not entirely bad, many manufacturing companies use their own sizing chart which is not applicable to all brands. In addition, not all babies grow the same and there are many of them that actually never get to use clothes for newborns because they are too large or too heavy. You can go with the age factor if you pay attention to your baby size. It’s preferable to shop a few months in advance because he or she can wear clothes that are a tad bigger. Smaller ones won’t be a good investment so try to go one size ahead of your little one’s age. 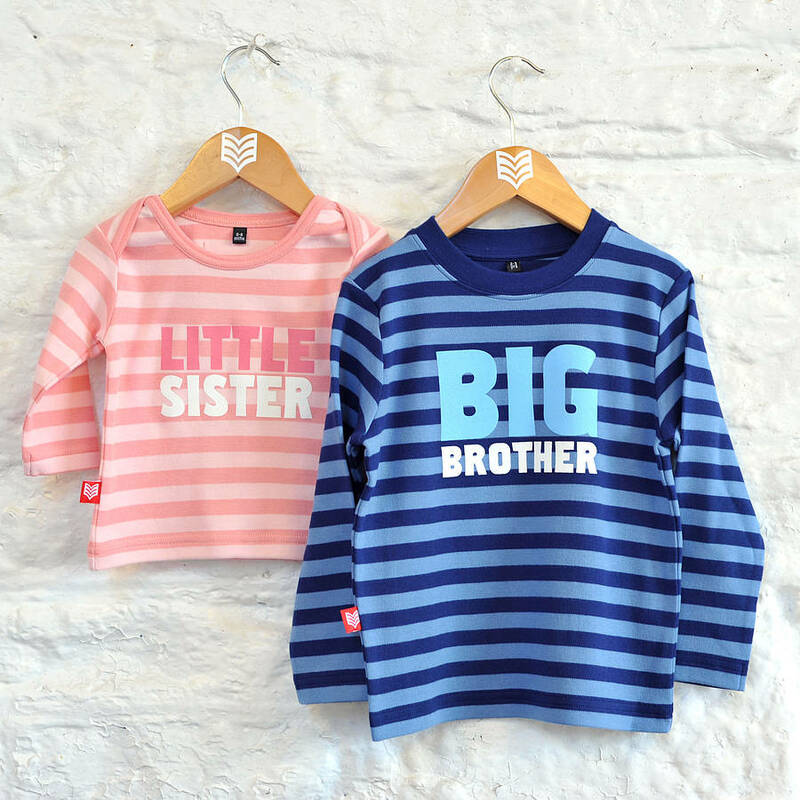 Depending on the season, you should consider baby T-shirts that are proper for warmer or for chilly days. During the summer, you can choose T-shirts that are lightweight and made from a soft and thin fabric. Winter days and nights are colder, so long sleeves and layering is preferable because it keeps the baby’s body temperature at an optimum level. There’s no need to spend large amounts of money if you buy the items in advance. Just try not to get clothes one year before because you can’t estimate exactly how much weight a baby can gain. According to the best baby T-shirts reviews, you should try to buy items that are made of soft and durable fabrics. There are several products on the market that feature a combination of cotton and polyester which is a good investment long term but can cause serious allergies for babies that have sensitive skin. If your baby is prone to developing this kind of reactions, you should stick to natural organic fabrics that don’t do any harm. 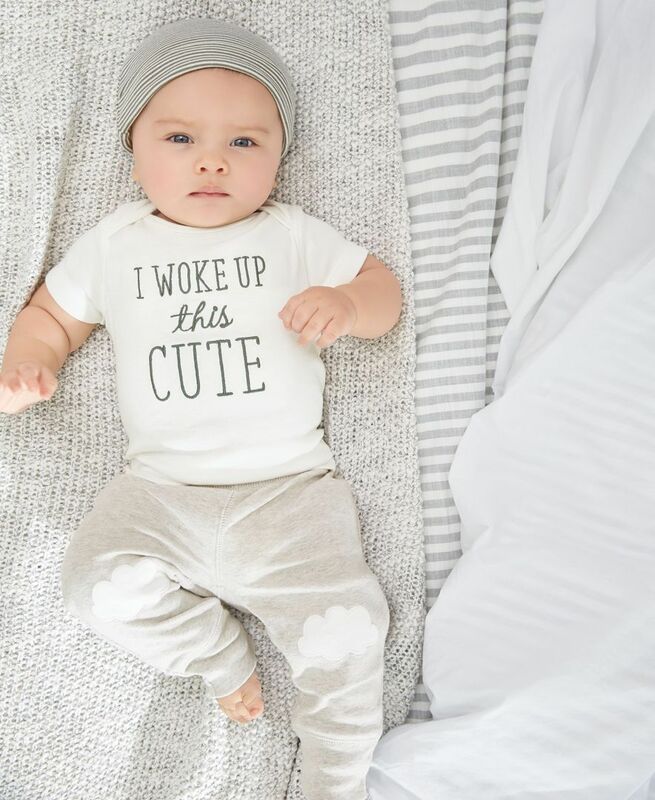 Cotton is an excellent choice for baby clothing because is softer than usual and it is fully compatible with the baby’s skin, even those that tend to develop rashes and allergies. Nowadays, many manufacturers come with tagless clothing that is an interesting concept given the fact that all items have the label printed directly on the fabric and not attached as a separate piece of material. Baby clothes and baby blankets need to be changed often so get ready to use the washing machine on a daily basis. You’ll need clothing that can be washed at higher temperatures in the washer such as organic cotton that ensures durability and comfort for the baby. Baby clothes should be practical and easy to put on and take off. The reason we recommend this is because you need to be able to change the baby many times during the day and you can’t spend too much time on this chore. One way to gain functionality is to check for clothes with press studs that are easier to handle compared to buttons. Especially at night when the baby wakes up crying, you’ll appreciate them a lot. Moreover, they don’t look so bulky and uncomfortable as zips. If you buy your baby bigger clothes don’t wash them until he or she is ready to use them. You might discover that your little one won’t be a size 0 until summer and you have clothes of this size for the cold season. This way, you can rest assured that you can exchange them for a proper size that fits your baby. As for color and pattern designs, if you need some cool baby girl stuff you can find T-shirts that have interesting drawings that you can purchase to make her feel like a real princess. Get her lovely items in shades of pink, red or purple. Because babies don’t like having clothes pulled over their heads, you should look for T-shirts that have the front opened so you can put them on when they are lying down. Remember that little ones actually have big heads so you’ll need clothing that has expandable necklines or clasps that you use once the shirt is over their head. Furthermore, avoid T-shirts that are too small because the newborn’s umbilical cord is healing and tight clothes will harm him.